Following the plague of 2011, mice numbers are now down across the high-risk areas of South Eastern Australia. However, farmers in areas affected by last year’s plague are keeping an eye on populations. At this point in time, South Australia’s Eyre Peninsula and the Millewa in Victoria are causing most concern to researchers and landholders. The CSIRO points out that plagues are generally triggered by favourable rainfall and a minimum density of mice to respond to these rains. Perhaps surprisingly, mouse plagues are only a major problem in one province in the north-western plateau of China and in the southern and eastern grain belts of Australia. Mice don’t actually travel in plagues. The plagues may just appear to ‘travel’ as favourable conditions come into play across regions. Plagues in NW Victoria can be accurately predicted. First and foremost, pest management measures should be put into place before plagues get out of hand. It is important to control the mice before they inhabit crops. Farmers need to clear around crop perimeters and in places like fence lines where weeds and grasses tend to grow. Another option is perimeter baiting. In addition, it is a good idea to minimise the amount of grain on the ground after harvest. For example, sheep can be put on the stubble to clear up the grain. However, once a plague has been declared, the horse has more or less bolted in terms of preventative measures. 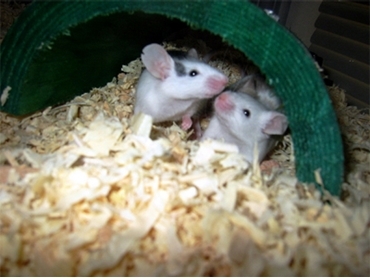 In these cases, there are two types of poisons used to control mice. Anticoagulants, such as MOUSEOFF from Animal Control Technologies kill mice in 5 - 7 days. MOUSEOFF is eco friendly and leave no harmful residues. It also presents low secondary risks to non-target animals and can be used in developed and sown crops. Zinc Phosphide - an acute poison that is appropriate for use in broadacre situations. From 1900 to the 1980s South Eastern Australia experienced mouse plagues every ten years or so. Since then the figure has jumped to once every four years, so farmers need to keep up to date with all the preventative measures as well as their baiting and poisoning options.